Looking to advance your nursing career? Want to avoid nurse burnout? Open to doing what you love as a nurse? This next video will speak to the profession of nursing and the fact that nurses want to do it all. Additionally, the video will describe how over-doing it in this way is directly related to one of the causes of nurse burnout. This video will also provide a unique solution that will help your nursing career while preventing nurse burnout from happening to you. Here is a solution from the business world that we can apply to our nursing careers. Get your copy of the Nurse Burnout Prevention Matrix with over 100 nursing burnout interventions: click here. Well, what do you think? 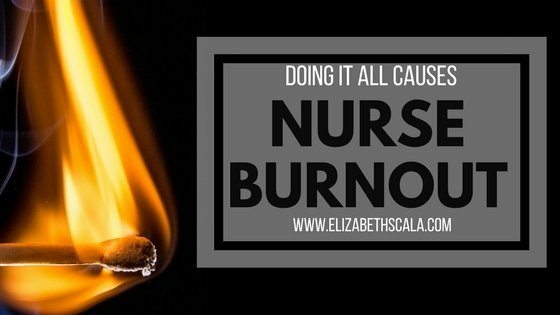 What are some causes of nurse burnout? What benefits do you see to being clear, focused, and niche in your nursing career? Let’s hear from you and thanks for watching! It is such a wonderful discovery to realize it is a myth… being able to “do it all”, without paying a huge price. Of course this is true in all areas of life, and your solution- finding a niche is so heart warming and sane. Thanks Elizabeth. Glad you enjoyed the video, Padma. And you are right… it DOES ring true in all aspects of life. Thank you for pointing that out. Enjoy the week! Wonderful!! Thanks for stopping by and sharing your insights. Great video and tip! I am a Super Nurse in recovery. Thank you for discussing this and for the helpful tip. It is so important to our health and wellness not to do it all. Thanks, Cassandra. Feel free to share!